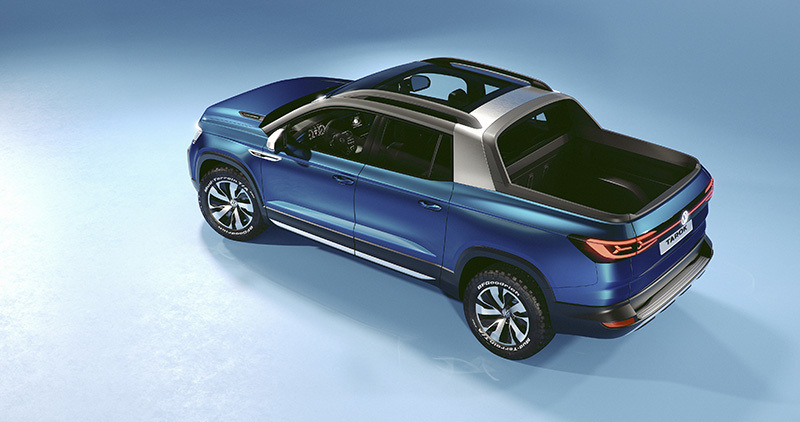 Volkswagen has been thinking about bringing a midsize pickup truck back to the U.S. market for some time now, teasing fans and potential customers with the faint possibility that one day, we too can be graced with another funky truck from the famous automaker. 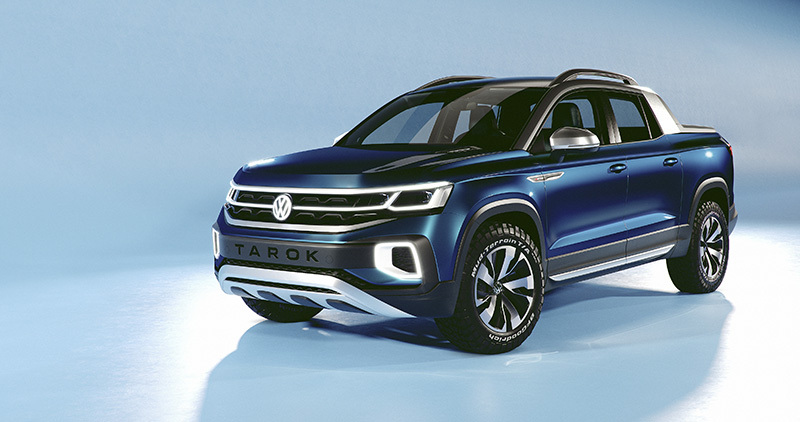 On Monday, it became apparent that the Germans are still open to the idea, confirming that it will be bringing the VW Tarok pickup truck concept to the 2019 New York International Auto Show (NYIAS). The last time we saw the Tarok was in November 2018 at the Sao Paolo Motor Show in Brazil. 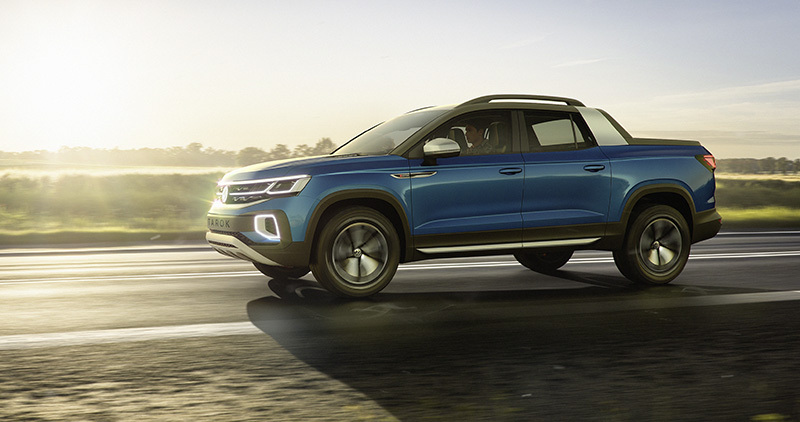 The unveiling of the truck marked the second pickup of the year to be teased by Volkswagen, the first being the Atlas Tanoak concept, which debuted at NYIAS in March 2018. Sadly, neither were destined to remain Stateside at the time. Angst became increasingly apparent in U.S. consumers after news that VW and Ford had announced a new global partnership. The pair of automakers confirmed that they would be working to collaborate on the development of electric cars, vans, and pickup trucks. However, the trucks were destined to be released in Europe, Africa, and South America only; once again destroying the hope that Americans would one day see another Volkswagen pickup. Lately, rays of hope have started to hint that VW isn't ruling out eventually bringing a truck back to the States, especially as a current partnership with Ford could help tremendously. Volkswagen confirmed last month that it was still "100 percent investigating" the possibility of a pickup entering the U.S. market, now following up with the news that it will put the pickup on display in New York. The Tarok concept is built on Volkswagen's modular MQB platform; the same underlying foundation used for the current-generation Golf, Jetta, Tiguan, T-Roc, and even the Audi TT. And although it is the longest vehicle built on the platform, it's also fairly stout compared to other trucks in the market. As an example, the Tarok is around 8 percent shorter than the Ford Ranger, and 9 percent shorter than the Toyota Tacoma, which, when equipped with a double cab and short bed, measures in at just 212.3 inches. 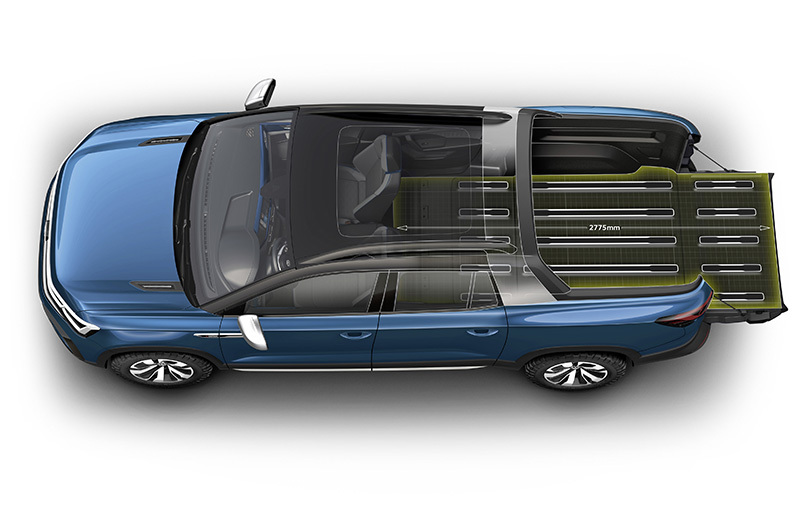 Volkswagen helps offset the short 47.5-inch bed by allowing the load to spill into the cabin. 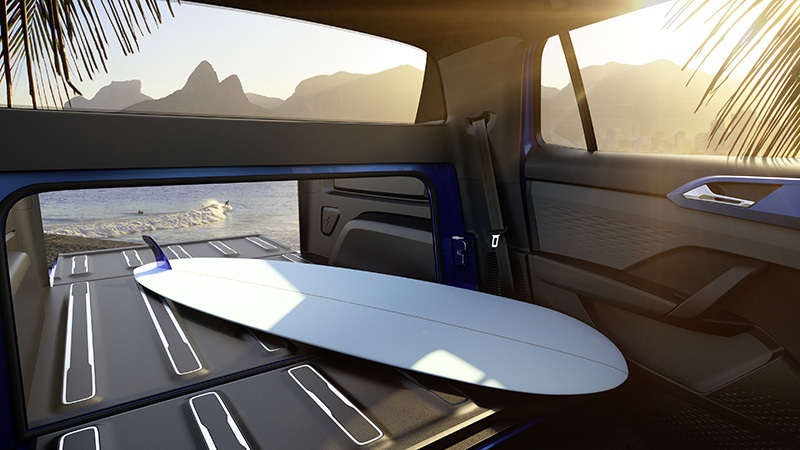 Folding down the rear seats and opening a rear-access hatch, the truck gains another 25.8 inches of room. Drop the tailgate and you have a maximum bed space of 73.2 inches that can haul a maximum payload of 2,271 pounds. For power, Volkswagen slid in its 1.4-liter turbocharged four-cylinder engine, which produces a mild 147 horsepower. Power is put to the ground via six-speed automatic transmission and permanent 4Motion all-wheel-drive system. While the truck itself feels like a powerful contender for the U.S. market, this powertrain will likely get some push back by consumers when set alongside competitors like the Ford Ranger that are equipped with nearly double the power from the same amount of cylinders, albeit larger displacement. In the looks department, modern German body lines parallel to the automaker's latest design language flow along in the truck's profile, and the front fascia is pleasantly current in a sea of bland workhorses. It doesn't pretend to be a vehicle with a work-before-comfort attitude, nor does it compromise on being able to haul something home from the hardware store. The perfect accent to the do-it-yourselfer in all of us. Remember that although the truck feels like a final product, that doesn't mean that the U.S. market will be getting it any time soon. If Volkswagen plans to launch a pickup in America, it plans to do it correctly and offer something to consumers worth buying. Maybe, hopefully, that will one day be the Tarok. If VW builds a pickup for the US, don't just expect a rebadged Ford Ranger.